Everybody Rejoice…and Join Our The Wiz Live! Scavenger Hunt! So you wanted to meet the Wizard? 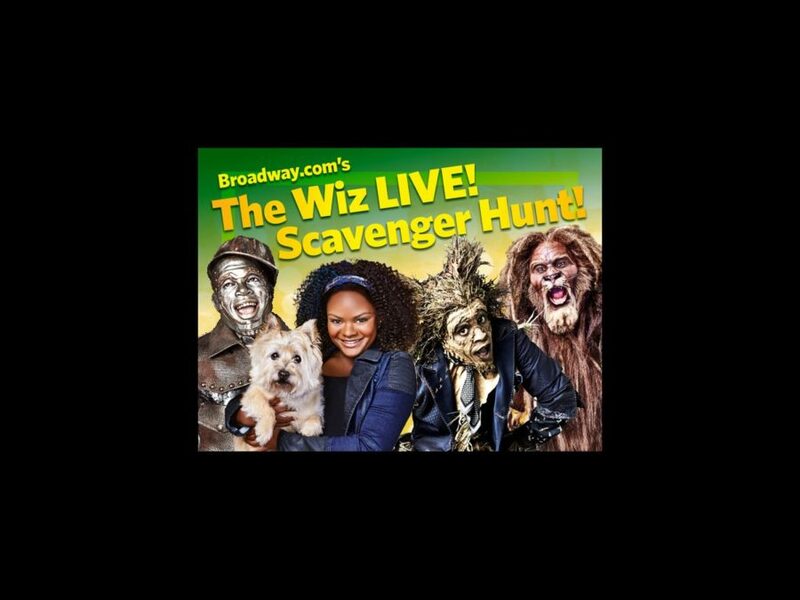 Good, because The Wiz Live! is just hours away! While your heart’s singing joyfully and your fingers are doing some pre-live-tweeting stretches, we have just the thing to make any viewing party real, real, reaaaal to us: Broadway.com’s The Wiz Live! Scavenger Hunt! When you see one of the 12 items in the sheet below pop up during the NBC telecast, tweet it with a photo of your screen and the hashtag #WizHunt. If Dorothy does the Nae Nae, snap a pic! If Queen Latifah serves up some Wizard realness, snap a pic! We’ll retweet the silliest, wackiest, and most Oztastic shots throughout the night, and post our favorites here on Broadway.com! Click below to print out your own Scavenger Hunt list, pass them out to your friends—however brainless, heartless or cowardly they may be—and play along!